Sony was the last batter up to the plate after a busy day of press events. Microsoft, Electronic Arts, and Ubisoft had already put forth strong performances and Sony followed them up nicely. Sony came into E3 with a lot of momentum. Their next generation console, the PlayStation 4, has outsold the Xbox One by a wide margin. So there was a question as to whether or not Sony would rest on their heels during this presentation since they weren’t in any sort of panic mode. It turns out that they maintained their aggression. 1. Entwined is available now and is gorgeous. Entwined is an independent game that is exclusive the PlayStation 4 at the moment. It was released on Monday June 9th for $9.99. The game is built around the idea of controlling two characters at once using the two thumb sticks on the controller. Each stick controls one of the two characters. Thematically, each stage is built around a pair of souls that are in love, but cannot be together. (The trailer showed a stylized crane and a fish.) The player is responsible for guiding these souls through the level until they can finally meet at the end. The game play itself was evocative of the mobile game Super Hexagon which was a lot of fun. Entwined will be moving to the PlayStation 3 and Vita soon as well. Keep your eyes here for more info, and perhaps even a review, as time goes on. 2. Little Big Planet 3 is coming! Little Big Planet has been a force in the gaming industry for years now. The first two iterations of the game have been so successful that a follow-up was inevitable. I have to admit that I have always had my doubts though. I wondered how they were going to be able to innovate on a game (Little Big Planet 2) that allowed for so many different kinds of gaming experiences. I should have known that people who are FAR smarter than me would be able to figure it out. Little Big Planet 3 was demoed at the event and showed off two major changes. First, the levels can have significantly more depth to them. This means that you will see Saskboy running from the foreground into the background and vice versa as opposed to just making a small hop. This is something that creative designers will be making great use of for years. Second, they created new playable characters. I don’t know why, but I never really imagined them doing it. I had always assumed that Sackboy was the mascot and that he would stand alone. But, it looks like I was wrong. They added Oddsock, Toggle, and Swoop to the game each with their own unique special abilities to help navigate different levels. The new character diversity is brilliant and will go a long way to helping keep Little Big Planet fresh as the years go by. Sony is making a significant push to have their own special bundles and exclusive content for cross platform games as a way to encourage people to purchase PlayStation products. 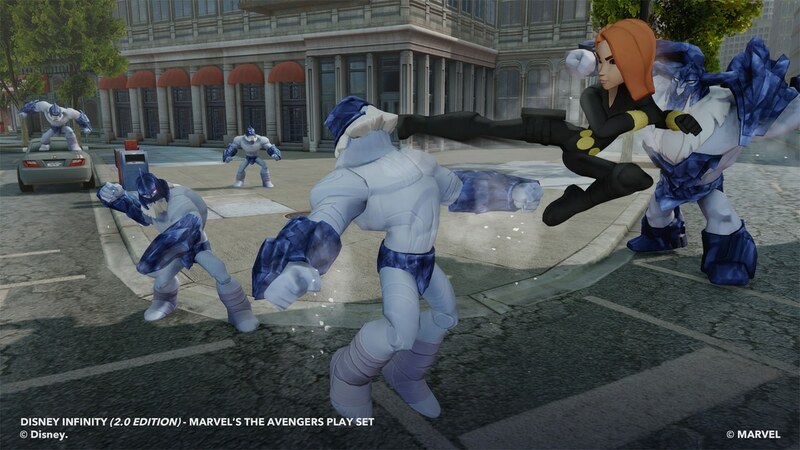 Disney Infinity: Marvel Super Heroes is going to be a big seller this year and Sony intends to capitalize on it. 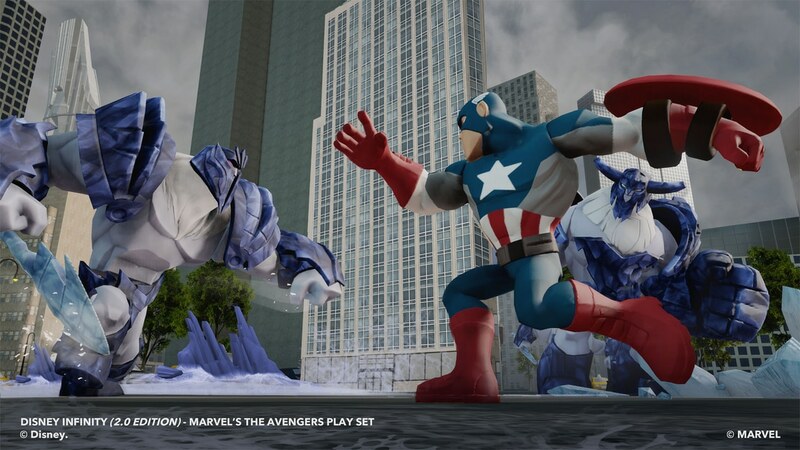 There will be a Sony exclusive bundle of the game that will include the Hulk figure along with the other starter figures at launch. This may not be a significant change, but Disney Infinity figures are expensive. This could definitely lean some of the units sold in Sony’s direction. Short and sweet: This is a piece of video game history that touches on storytelling tropes that everyone interested in fiction should know. This isn’t for young kids by any means, but this should be required playing for teenagers. 5. ABZU is a long way off, but it is definitely something to look forward to! Journey was an AMAZING game. It delivered a compelling story with no spoken words or text. It captivated us with its art design and music. Many people, myself included, put it on the short list for the best game of the previous generation (which is high praise considering the quality of game that is available). Two of Journey’s developers have teamed up for a new project: ABZU. We know very little about the game itself, but the trailer and their history lead us to believe that this is going to be one for the history books! We’ll keep you posted as more details arise! What about you? What do you think about what you saw? Sound off in the comments! LEGO Batman 3: Beyond Gotham Announced! Warner Bros. Interactive Entertainment, TT Games and The LEGO Group have announced LEGO Batman 3: Beyond Gotham. It will release during the fall of 2014for the PlayStation 3, PlayStation 4, PlayStation Vita, Xbox One, Xbox 360, Nintendo WiiU, Nintendo 3DS, and PC. LEGO Batman 3: Beyond Gotham is the next installment in the LEGO series of games that has sold more than 100 million units worldwide. Simply put: These games are HUGE and there is no sign that they will slow down. LEGO Batman 3 looks like it will build off the momentum from last year’s Smash hit LEGO Marvel Super Heroes. This time around we will see the massive cast of characters from the DC universe jump into the action! TTgames has confirmed that the adventure will include over 150 member of the DCU cast including members of the Justice League and several LEGO big figures like Killer Croc and Solomon Grundy! We will obviously hear more as the release comes closer. Keep your eyes here at Engaged Family Gaming for all your LEGO game news! Interactive games toys are taking over the video game space! Skylanders may have brought the genre to the mainstream, but Disney Infinity killed it during its first year on the market with 3 million starter packs sold and $500 million in retail sales. That is a HUGE figure for a new game series. So huge, in fact, that a follow up was inevitable. Players can continue to use their favorite characters, power discs, toy boxes, and even the original BASE! This doesn’t necessarily come as a surprise, but it is welcome news. Parents shelled out a lot of money for Disney characters, so far, and it would be a shame for them not to work with the updated version (Besides, now we might get to see who would win: Thor vs Mr. Incredible!). 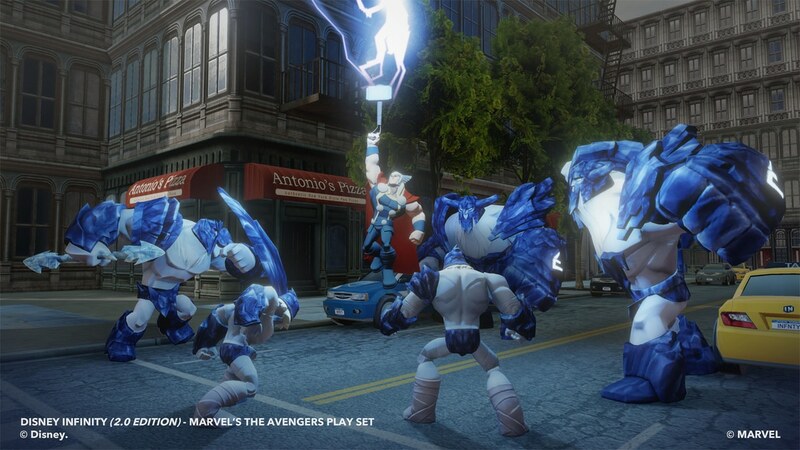 They showed us six of the playable characters and their requisite figures. Spoiler Alert: These figures are going to be a hot commodity this fall. I expect that collectors will be buying these figures up even if they don’t play the game. They are just that amazing. More of the characters will be announced in a month at E3 (Don’t worry! We’ll have you covered there). One of the biggest complaints made about the original game was that there weren’t enough game experiences outside of the play sets. The Toy Box itself was there, but a lot of kids struggled to build anything meaningful with it. Toy Box Games are the answer to that problem. They are essentially power discs that include pre-made, bite-sized game experiences. 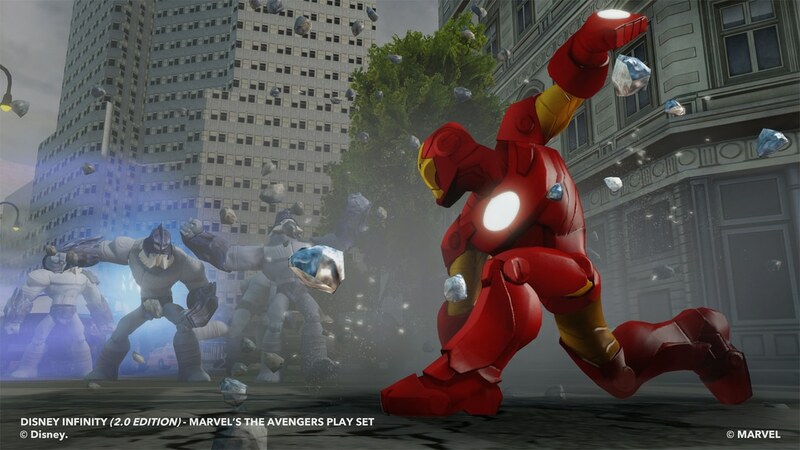 They will be based on different game genres and themes within the Disney Infinity game engine. The starter pack will come with a “tower defense” game and a “dungeon crawler.” This is an excellent value add because Toy Box Games can be released on their own down the line as mini-expansions. This has a lot of potential! One of my biggest frustrations with the original Disney Infinity was with the Toy Box mode itself. My sons struggled to build even the most basic environments, they would dabble for a short while, get frustrated and move on to something else. The new Toy Box mode includes a number of improvements that will likely make it possible for even the youngest gamers to get in on the action. “Brush Mode” is the most significant improvement. This setting lets players select an environment and paint an area of whatever size they choose, the game will then procedurally generate that environment! You want a big ol’ city? Sure. Select the city option and brush it onto a large open space in the Toy Box. BAM! The city will create itself. This is huge for young players just looking for a fast and easy experience. 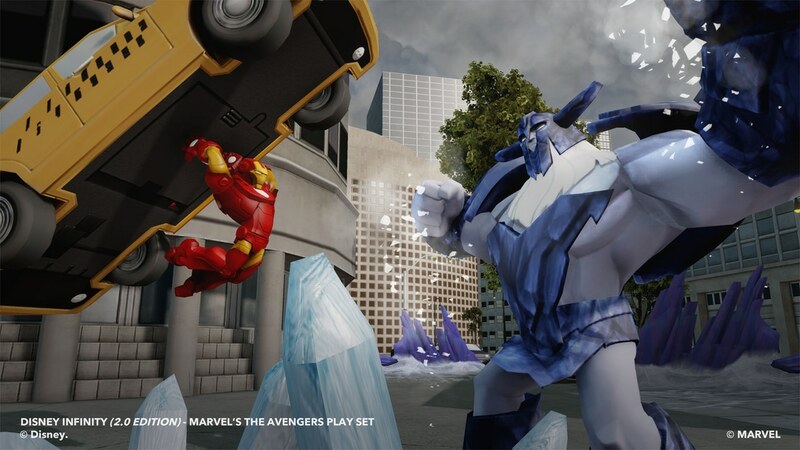 The key difference here is that players will be able to play multiplayer inside a play set right out of the box (The Iron Man figure is also absolutely amazing). We know that we’re excited here at Engaged Family Gaming, but what about you? Sound off in the comments! 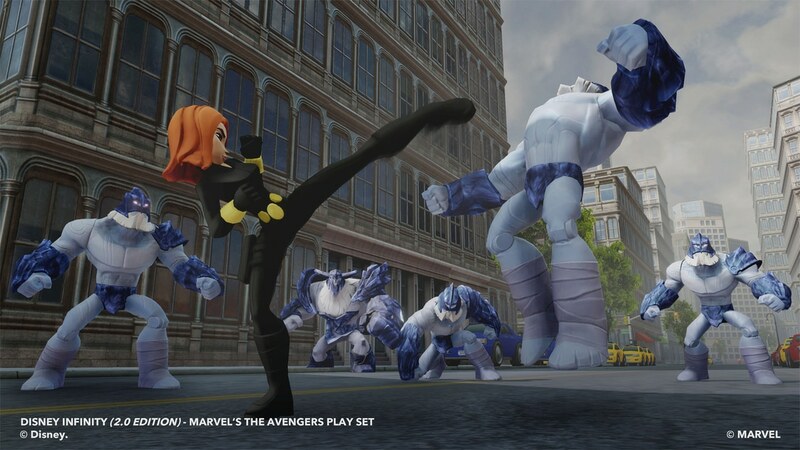 Black Widow is a fast melee character whose moves will match her style! 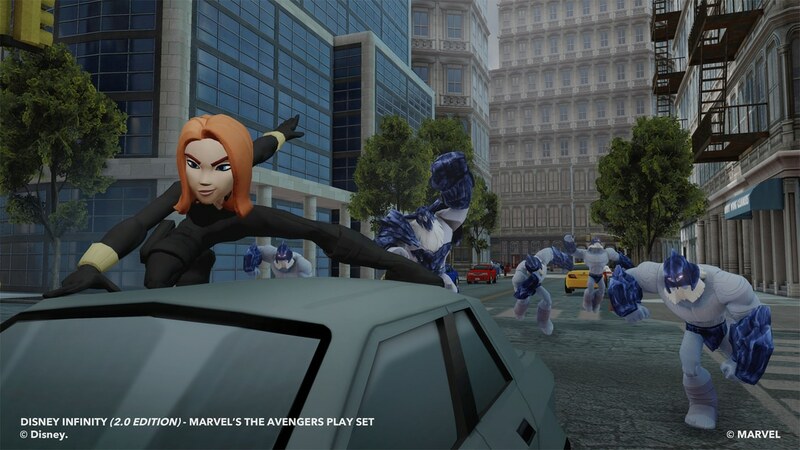 Black Widow is a strong female character who can get in even the biggest bad guys faces! Black Widow does not mess around! Hulk isn't the only Avenger with strength! 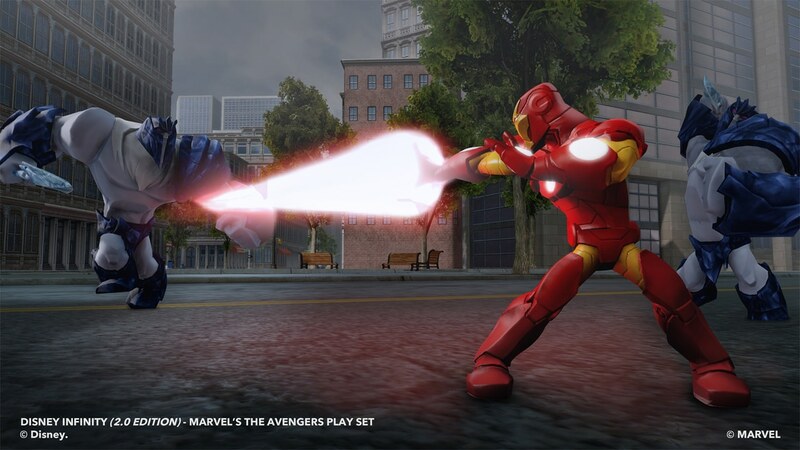 Iron Man will have his signature repulsor blasts! Captain America is a brawler. He has his shield to give him some range though. 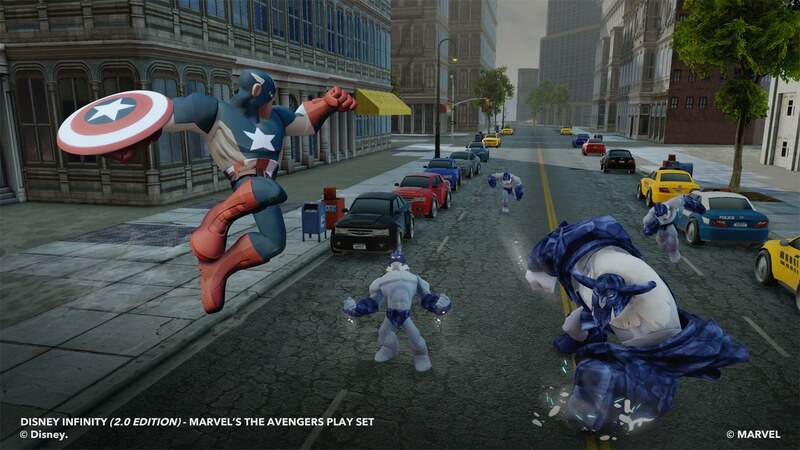 Captain America's shield will be great for keeping enemies at bay. 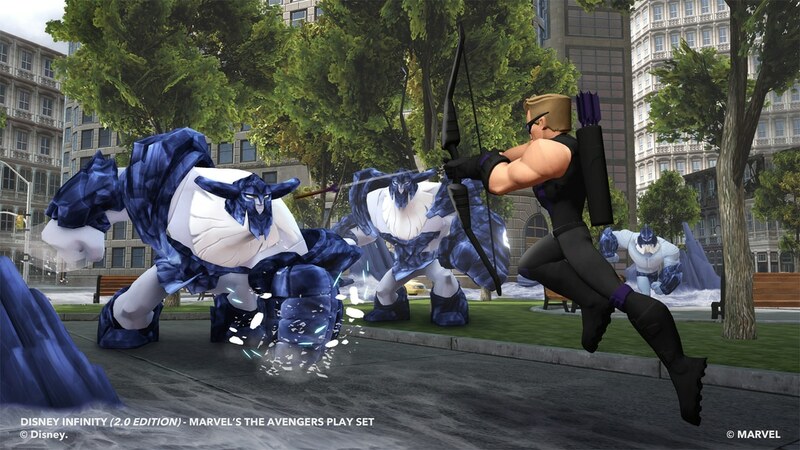 Hawkeye's ranged attacks will do a lot of damage, but you'll need to be careful to stay at range! 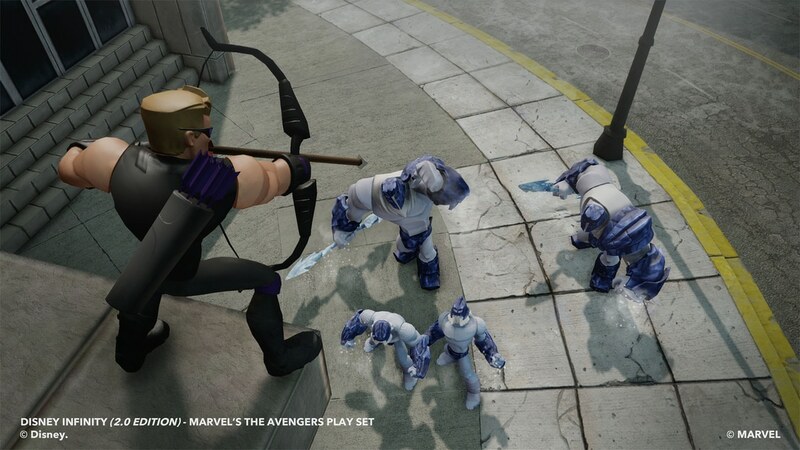 Hawkeye can take advantage of the high ground like no one else! 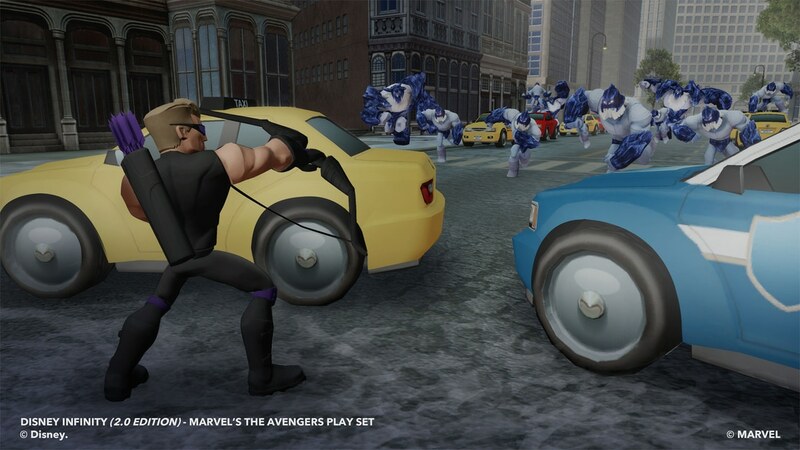 Hawkeye won't be afraid to charge in though! 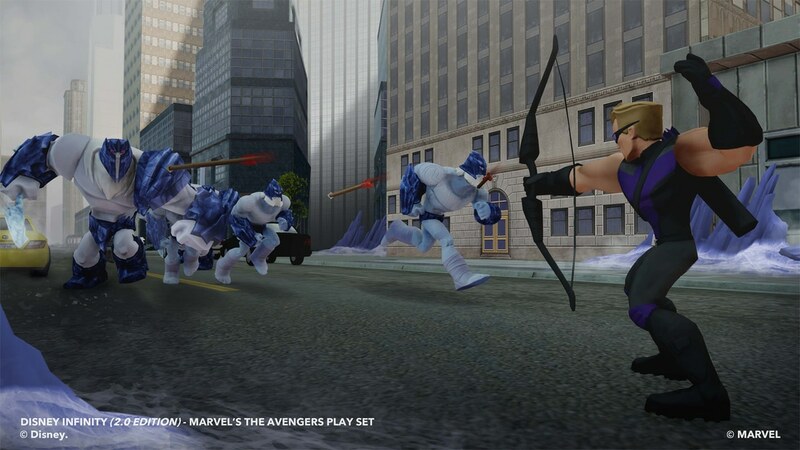 Hawkeye is a ranged character, but he can mix it up if enemies close in on him. Thor, and his hammer, will be joining the action as well! We can't forget that Thor is the God of Thunder! A new Skylanders game will soon be upon us! Skylanders: Trap Team will release on October 5th for PlayStation 4, PlayStation 3, Xbox 360, Xbox One, WiiU, Wii, and 3DS. Skylanders is a billion dollar franchise so a new entry will be coming every year for the foreseeable future. Each new title so far has brought with it a new spin on the “toys coming to life” mechanic. First we had Giants, then we had the Swap Force. This time… we get the bad guys. Trap Team allows players to take command of the Trap Masters, a new kind of Skylander, that can help locate Traptanium zones. They also help the player capture enemy bosses inside crystals. Once trapped they become paragon monsters that can be used by the players. There are forty different monsters in Trap Team that can be captured and collected (including Kaos himself)! 1. A new Starter Pack – The crystal trapping mechanic requires a brand new portal. The other portals you have been using so far can be safely retired. The new one will come with the Starter Pack. 2. Crystals – In order to capture a monster you will need the crystal that matches the corresponding element. Activision and Toys for Bob have made it clear to other outlets that they will not be selling these crystals in blind packs. This means we will be buying them separately for our kids. They haven’t given any word on pricing yet. 3. Trap Masters – These are the new gimmick Skylanders. They are slightly taller than Swap Force characters and have HUGE crystal weapons. One of them (Snap Shot) comes with the Starter Pack. 4. Skylanders – There are, of course, going to be a new set of core Skylanders to collect and play with. Food Fight, for example, comes with the Starter Pack. 2. The retail starter pack will include a “Traptanium Portal,” two crystal traps, Trap Master Snap Shot, and Food Fight. 3. It is releasing for just about every platform known to man, but the 3DS version will actually be a different game. Make sure to keep your eyes on our main page for more Skylanders: Trap Team information as it is released! How excited are you and your kids? Sound off in the comments! I haven’t gotten much hands on time with any of the next gen games. So I am providing a list of the most important launch games available for the PS4 that are rated T or less. Resogun is among the best games available for the system according to several members of the IGN staff. It is also free for PS+ members this month, so if you bought a PS4 it is worth a download because of the pricetag alone (free)! Knack is the next generation platforming game. It looks stunning, but it has not gotten consistent reviews. If you have purchased a PS4 and are desperate for family friendly content, then this isn’t a terrible choice. 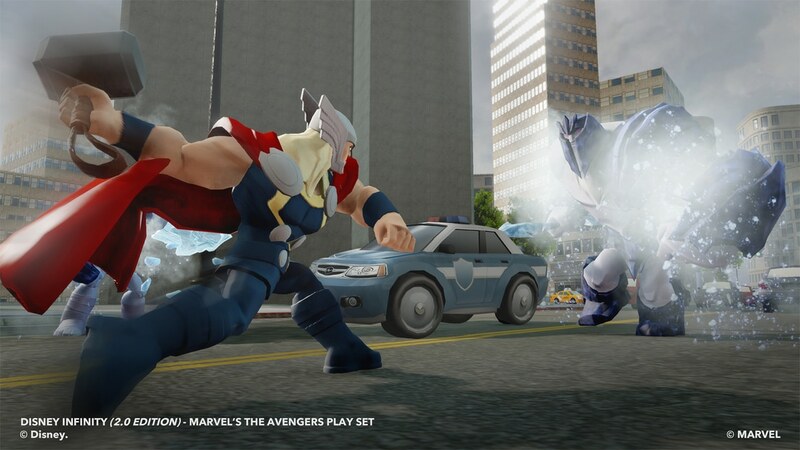 LEGO branded games have been the surprise hit of this console generation and LEGO Marvel Super Heroes looks like it is one of the best. This game is stacked with super heroes. Your child’s favorite is all but guaranteed to be playable. This is an excellent gift for the Marvel fan on your list! This year’s crop of sports titles has been released on the PS4 as well. They all look amazing and if you are fans of the series then you know what you will be getting here. These are great options for sports fans if they a. own the PS4 and b. didn’t buy these games when they released for the Xbox 360 or PS3 already. Full disclosure: Links on this guide point towards Amazon.com. Purchasing products using those links provides us with advertising revenue that will help us keep our operation going! 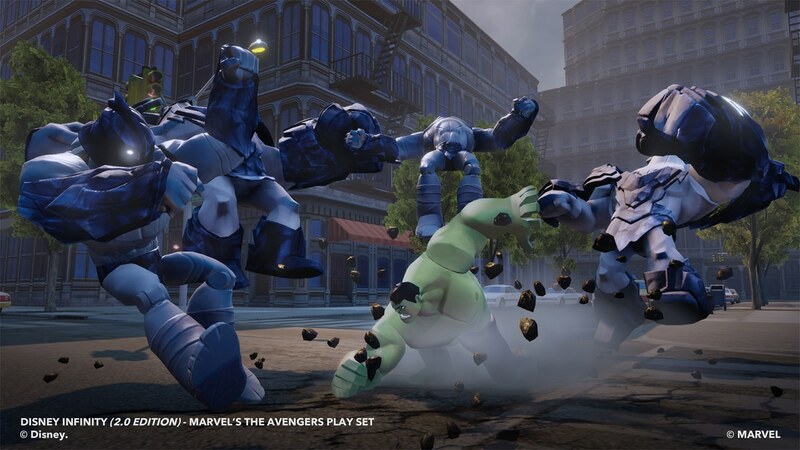 LEGO Marvel Super Heroes is looking more and more like it is going to be one of the highlights in family gaming this holiday season. The demo is releasing on PS3, Xbox 360, and PC this week. The actual game will hit retail shelves next Tuesday. The NFL season is upon us and with is, has come this year’s installment of the perennial Madden series. This is one of the longest running franchises in video game history and it shows no signs of stopping. If your family enjoys football, then it is inevitable that this game will find its way onto your child’s wish list at some point. The developers set the goal of creating an authentic experience NFL experience and they have succeeded. Playing the game FEELS like you are watching a game on television. It’s not perfect; there are some weird graphical glitches that are inevitable when you have that any characters moving around on one screen. Some of the commentary by Jim Nance and Phil Simms can get… repetitive if you play more than a few games in a row also. There are several modes of play for your family to enjoy. The most prominent mode of play is called “Connected Careers” and allows players to play as either a user created player, a coach, or an owner. All three of these options offer their own unique game play challenges. I know that my sons enjoyed calling plays and watching me execute them. I had to rush them along to deal with the play clock a few times, but that was part of the fun of it all! The Owner mode provided even more decisions for me to let them make. They could set concession stand and ticket prices and then watch the impact. It wasn’t super robust, it wasn’t the best economic simulator I have ever seen, but it was an interesting little experiment. Overall, I enjoyed my family’s time with the game. The good news about Madden 25 is that the game is designed to be an authentic Sunday afternoon TV experience. As a result, there is very little to be concerned about. That all goes out the window if you decide to let your child play online. EA Sports has no way of screening players so you could end up exposing them to some crazy stuff. This is why I usually recommend avoiding online multiplayer in these types of games. The key factor that needs to be considered when purchasing a Madden game for your child is that this is a simulation. The developers are building this game to try and recreate an authentic football experience. They don’t pull punches on difficulty here. The controls are complex, and, unless your child has a firm grasp of American football rules, they will probably struggle with it. Players should be very familiar with how to hold a controller and use it. Every button on the face of the controller will be used at one point or another. If they don’t know how to hold the controllers properly, then this game is a nightmare to play. There isn’t much reading in this game per se, but play calling is a very difficult task if the player doesn’t really understand what the X’s and O’s mean. If you are a fan of the NFL, then this game is worth a try. The simulation can be tough though, so I recommend grabbing it from a Redbox for a rental first. Ubisoft made a ton of announcements today! The most exciting of those announcements is the upcoming release Child of Light. Child of Light, by the same team that brought us Far Cry 3, is a hand drawn, side-scrolling adventure game that pays homage to classic role playing games (RPGs). The team is leveraging the “UbiArt” platform that allows level designers to animate hand drawn art. This is the same platform that was used to develop Rayman Origins. The details of the game itself are limited, but, as you can see from the trailer above, it is absolutely stunning visually. This has instantly become one of my most anticipated games of next year. If you watch the trailer you will see a little green sphere floating around the screen. That is a pixie creature named Nicholas who follows the sword wielding heroine on a journey. A second player can control him using a controller and can interact with the environment or with enemies when in battle. If the child doesn’t want to help, or can’t, then they can simply spend their time moving the little green ball across the screen. The designers have also done what they can to remove as many words from the menu system as possible on order to allow children to understand what is going on by recognizing symbols. The potential for this to be a family gaming masterpiece is definitely there. Take a look at the trailer and sound off in the comments. Does this look as cool to you as it does to us? Thursday Q & A: Are the PS4 and the Xbox One Worth the Cost of Upgrading Right Now? The release of the PS4 and the XBOX One are fast approaching. Is it worth the cost of upgrading now? Or is it ok to wait? I spent some time last week talking about the differences between the Xbox One and the PS4. A lot of readers shared their opinions, but several of them asked me whether the upgrade was worth it. Look. Video game consoles are luxury entertainment devices. They are not (no matter how much we might try to say they are) necessary for our basic survival. As a result, I find it really difficult to stand here and define upgrading as a “necessity” for everyone. Instead, the decision to upgrade is going to be a unique decision for everyone who has to make it. Some people “need” to get the next new toy right away. Those people don’t need a reason. They probably won’t even think much about it and that’s ok. But, there are a number of legitimate reasons for waiting. Second, the previous generation of consoles is still alive and kicking. Many of the biggest titles of this holiday season will be launching across next and current generation hardware. This means that holding off on upgrading doesn’t really prevent you from experiencing much right away. Some of the bigger console exclusives will come out in 2014 so holding off will be less attractive than. I can’t tell anyone what to do, but I can say that my family and I are going to wait. There just aren’t enough games that are exclusive to the next generation consoles to justify the price right now. We’ve got our eyes on Skylander’s Swap Force and Lego Marvel Super Heroes, but both of those games are going to be able on the systems we already have. Thursday Q&A: What is the Difference Between the PS4 and the Xbox One? Question: We are going to be inundated with marketing for the PS4 and Xbox One over the next few months. Can you explain the differences between these two systems? The birth of a new generation of consoles is thrilling for gamers like me, but it can be frustrating for parents who are not as connected to the industry. I’ve actually gotten a fair number of questions like this one. Below is a list of some of the important areas to consider when making your decision. 1. The hardware specs don’t really matter. I could spend time copy and posting the specs from each of the two websites, but it just isn’t worth the space on the screen. The two systems are similar enough that the hardware specs don’t matter. They are both very powerful machines that will pump out some amazing graphics. Certain games might be better in some small ways, but these differences are difficult to perceive for the average user. 2. Both of these consoles will have an impressive lineup of games on launch day. The good news is that there will be great games available for purchase whether you buy the Xbox One or the PS4. Many games, like Skylanders: Swap Force and Lego Marvel Super Heroes, will be available on both of these systems as well as the PS3, Xbox 360, and WiiU. 3. Microsoft and Sony both have exclusive properties. The vast majority of games that are released will come out for both platforms. However, each company has a stable of exclusives that might make the difference. Sony has a big of an advantage when it comes to having more family friendly exclusives because they have LittleBigPlanet, Ratchet and Clank, and Sly Cooper. The issue we run into is that Sony doesn’t have any of these properties available for purchase on the PS4 at launch. Instead, they have the platformer Knack. Microsoft may not have much in the way of exclusives to compete with that, but the vast majority of the games that are released for use with the Kinect sensor are family friendly. 4. Price. It always comes down to price. Price is obviously a huge factor when deciding what console to buy. I can’t report that either of them is “cheap,” but both of them present a reasonable value for their cost. The Microsoft Xbox One is priced at $499. The Sony PlayStation 4 is priced at $399. The cost difference is the result of the Kinect sensor that comes packaged with the Xbox One. That drives the price up a bit since it is a fairly sophisticated piece of technology. 5. Which one should I buy? It is really hard to argue with either console right now; they both pack a lot of potential. I would give the edge to PS4 right now because of the lower price point in spite of similar specs. There just aren’t enough family oriented Xbox One exclusives to overcome $100.